This was the third consecutive Cape Cod Cafe Bowl win for the Trojans. 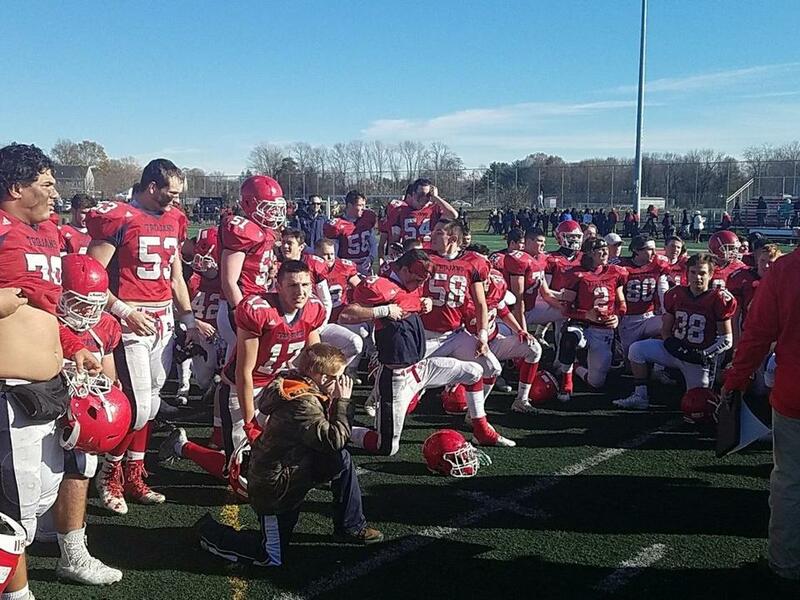 BRIDGEWATER — The Brockton football team could not overcome a mess of self-inflicted wounds, falling to Bridgewater-Raynham, 36-15, on Thursday in the Cape Cod Cafe Bowl at Bridgewater-Raynham Regional High. Quarterback Corey Sullivan and receiver Joey D’Emilia linked up seven times for 116 yards and two touchdowns, including a 65-yarder in the second quarter that opened a 15-0 lead for Bridgewater-Raynham (9-2). 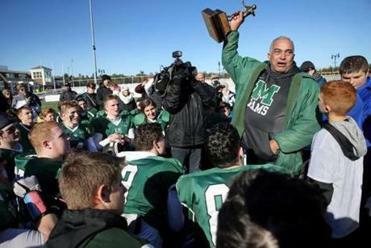 D’Emilia, a senior, ended his high school career on a high note by being awarded the game’s Most Valuable Player. It was the third consecutive Cape Cod Cafe Bowl win for the Trojans, who are 7-1 against the Boxers since the teams began playing on Thanksgiving in 2010. The Boxers (3-8) committed 11 penalties for nearly 100 yards, including a combination of five personal fouls and unsportsmanlike conduct violations, and fumbled twice in the first quarter. Despite the chippiness, Buron complimented Brockton’s effort and program. B-R secured its 14th season with nine or more wins in its 57 years. Henry Brechter can be reached at henry.brechter@globe.com.